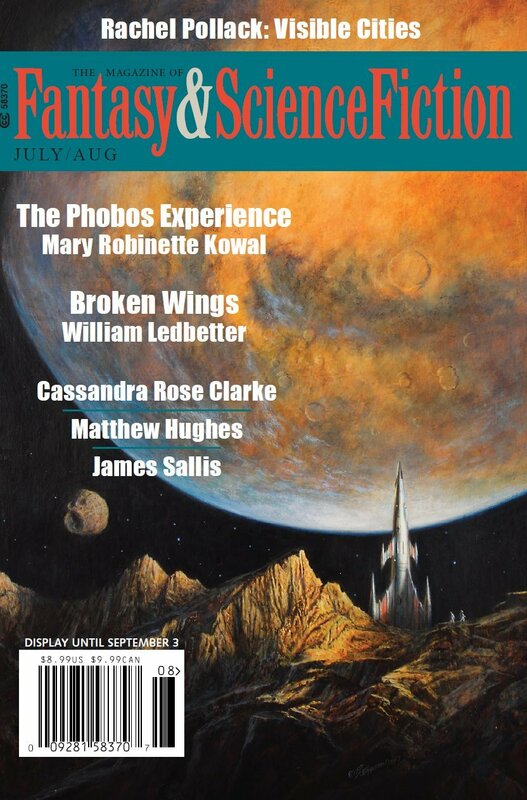 "The Phobos Experience," by Mary Robinette Kowal [bio] (edited by C.C. Finlay), appeared in Magazine of Fantasy & Science Fiction issue 07-08|18, published on June 26, 2018 by Spilogale Inc. Pro: The mission is accomplished, the pirates are routed, and the general’s plot is defeated. Con: The three astronauts were way too confident that no one could overhear their radio conversation. Darlene’s secrecy about her vertigo endangered everyone else. It’s annoying that she suffers no consequences.